1-2: Kenia, Kiambu County, Kabete, 30. Oktober 1972 [vgl. Etikett] (fot. : Michel Kettner), coll. ZSM, "Pröse-Sammlung"
Daraus folgt, dass die Tiere aus Spanien und Marokko Euclasta varii und Tiere aus der Türkei Euclasta splendidalis zuzuordnen sind. SAMMUT (2005) meldet eine Reihe von Nachweisen von Malta aus den Jahren 1983 - 2004 und korrigiert die Meldung von Euclasta splendidalis aus Malta: "Following correspondence with Dr. Martin Honey regarding the correct identity of Euclasta splendidalis which was recorded from Malta, comparison of available Euclasta material from Malta with illustrations of both splendidalis and varii was carried out. All material examined from Malta belongs to E. varii. 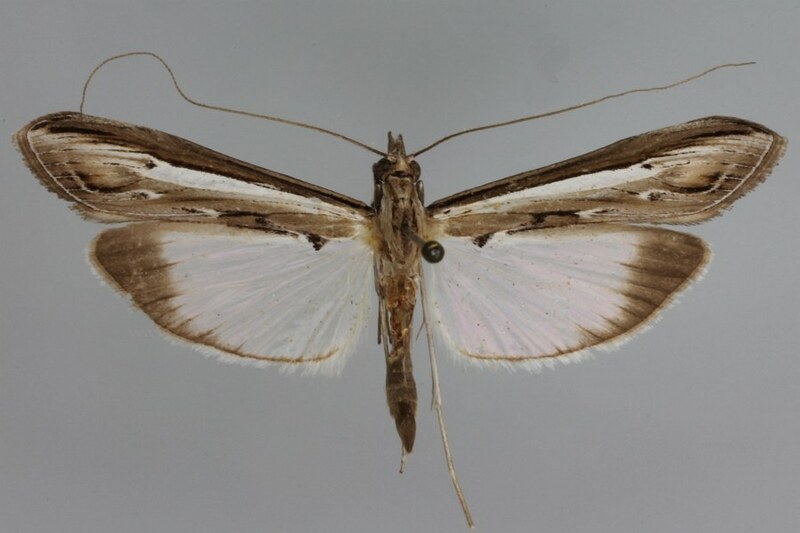 This species was erroneously recorded as Euclasta splendidalis H-S., by VALLETTA (1984) from a single specimen collected by himself from Ghar Lapsi on October 9, 1974. In all probability he compared this specimen with material in the British Museum (Natural History) on one of his frequent visits to London. 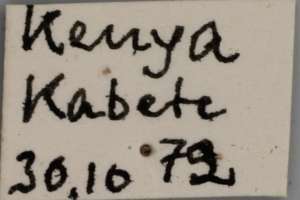 Also, most likely, at the same museum at the time he compared his specimen, there was no material belonging to E. varii given that this taxon had only been recently established. This same mistake was repeated by SAMMUT (2000) and others such as (SPEIDEL, 1996). The present author did not have the possibility to study the material in Valletta’s collection but it is presumed that it is also incorrectly determined." DE-GREGORIO, J. J. P. & E. REQUENA MIRET (2008): Microlepidòpters (Pyralidae, Crambidae) nous o interessants per la fauna Catalana i Iberobalear (VIII).  Ses. Entom. ICHN-SCL 13-14: 91-106. Barcelona. Erstbeschreibung: POPESCU-GORJ, A. 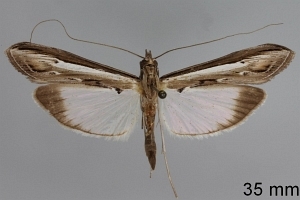 & A. CONSTANTINESCU (1973): New African species of Euclasta (Lepidoptera, Pyraustinae).  Revue Roumaine de biologie. Série de zoologie 18 (6): 393-401 [PDF auf www.ibiol.ro].